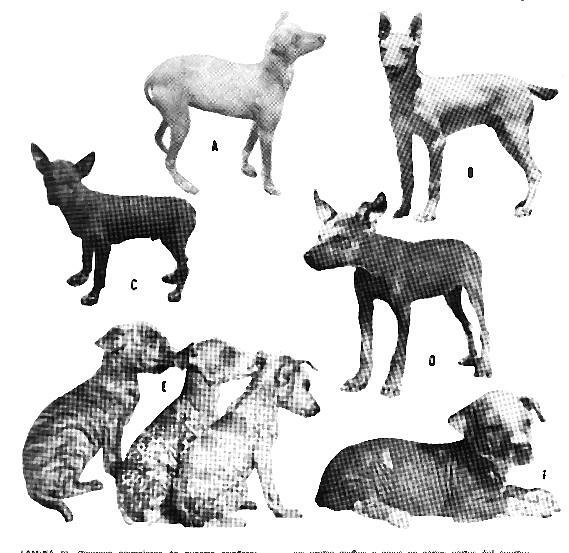 Dr. Pedro Weiss was a German dermathologist that took a strong interest in the Peruvian Hairless Dog, he studied them for a long time in his laboratory in Lima, Peru. In a further update, I will try to translate his conclutions to post them on this page, in the meantime here are some pictures. 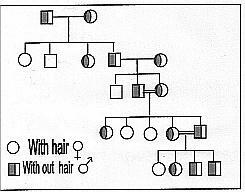 Dr, Weiss made studies in his laboretory for four generations of Peruvian dogs, and here is a scheme of the results. It is common to get more females than males in all litters.